Short story "Winter Birds": "Every winter, thinner ice on the lake, rotting and fragile. Soon the birds will go farther north, chasing the last crystal cold." Short story "Let Me Take Your Hands": "On the summer night when the police took his housekeeper Consuelo away, Antonio Guerrera felt helpless for many reasons. One was that he himself had paid Consuelo’s wages in cash for years, rather than insisting she become a tax-paying American citizen. Another was that the police refused to listen to him or release Consuelo on his recognizance: she was to be sent back to Mexico as quickly as Antonio would consign a failed mug from his potter’s wheel to the slop bin. But most of all, he felt helpless and much too old because he could explain nothing to Tess, Consuelo’s daughter." 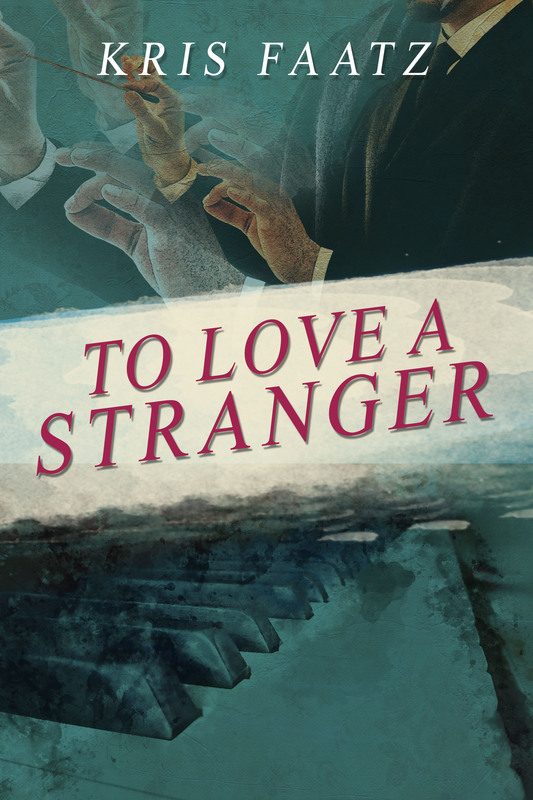 TO LOVE A STRANGERShort StoriesFOURTEEN STONESMultimedia Blog: "Zen for Ten: Storytelling and Sound"
My first novel, To Love A Stranger, was written, edited, and re-written over a period of ten years. During this time, my career shifted from focusing on music to writing and teaching fiction professionally. The novel draws on my own experiences of the backstage world of classical music; I wanted both to translate the "heard" experience of music to the page, and to engage with issues of social and societal justice relevant to that community and the wider world. The front cover of my music-inspired debut novel, released May 2017 by Blue Moon Publishers (Toronto). From the video taken at TO LOVE A STRANGER's launch party, which included Kris's solo piano recital of music featured in the book. This excerpt includes a reading from STRANGER, two intermezzi (Op. 116 no. 6 and Op. 117 no. 1) by Johannes Brahms, and Kris's comments on the historical background of the music. My interview at JMWW Journal with writer Tom Andes: "I thought about the shattering loneliness [AIDS] patients must have experienced, and the stigma surrounding them, and wanted to bring the human experience of their love and loss to the page." My feature at The Undercover Soundtrack: "I was in love with Sam, my primary character. He was clear and alive in my mind, and his story - about love and loss, and isolation and condemnation because of the person he was - felt urgent and real." My "My First Time" column at The Quivering Pen: " If you’ve read [Watership Down], you might remember Dandelion, the warren’s own storyteller, the keeper of his people’s history and, often, the source of their courage. I saw what he did inside the story, and I saw what the writer did outside it. Without meaning to, I found myself imitating the way Richard Adams wrote: the gentle voice, the depth of detail, the meditative, immersive tone. I didn’t know anything about him other than the book he had written, but for me, he was a hero." TO LOVE A STRANGER's feature article at The Negatives: "Early on in my musical training, I began thinking of music and instruments as living things....When I practiced, making music felt like talking to the instrument, as if it and I were having a conversation that communicated more than words ever could. Anything I thought or felt, even the most difficult things – especially the most difficult things – had an outlet in what I played. The piano always understood." Many of my stories are inspired or informed by music or art. Many of them also deal with relationships between people, and the underlying deeper societal and/or cultural issues that can emerge in such relationships, or inform them. This project contains a cross-section of my short fiction. All of these pieces have been published in literary journals, as noted in the individual files. I've also included my interview at Woven Tale Press regarding my prizewinning story "Let Me Take Your Hands," which grew out of my feelings about our current government's anti-immigrant stance. Many of these stories are included in my collection Let Me Take Your Hands, currently on submission. In January 2017, I also put together a chapbook of six of my stories and published it for Kindle. This collection, Unraveled Souls, was my response to the inauguration and my concern for what lay ahead for our country. Half of all proceeds benefit 826 National (826national.org), an organization which supports literacy and creativity for young under-served students. More information about my short fiction can be found on my website: https://krisfaatz.com/stories. "On the morning when her daughter Abby was put under the ground, Reverend Robin Cahill stayed in her kitchen and chopped strawberries for pies." “'Cinnabar,' the warden said. 'The color of passion. Also poison.' Cinny couldn’t hide her surprise. Nobody else in the legal system had looked twice at her name. 'A gifted thief,' the warden went on. 'Pickpocketing. Cat burglary. Felony misdemeanor sheet considerably longer than the average arm. An amazing career, all told.'" "Every winter, thinner ice on the lake, rotting and fragile. Soon the birds will go farther north, chasing the last crystal cold." "On the summer night when the police took his housekeeper Consuelo away, Antonio Guerrera felt helpless for many reasons. One was that he himself had paid Consuelo’s wages in cash for years, rather than insisting she become a tax-paying American citizen. Another was that the police refused to listen to him or release Consuelo on his recognizance: she was to be sent back to Mexico as quickly as Antonio would consign a failed mug from his potter’s wheel to the slop bin. But most of all, he felt helpless and much too old because he could explain nothing to Tess, Consuelo’s daughter." "I knew I wanted to write a story that in some way touched on the need for people to have compassion and mercy toward one another. Immigration was very much on my mind, but I didn’t start 'Hands' with the idea that it would specifically be a story about an illegal immigrant." "He was just a young man from limbo-land, tall and gangly, with skin the color of Tanya’s own. She wouldn’t have looked at him twice if she’d met him on the street. For some reason, the newscasters said nobody was sure why, he had ended up in the back of a police van. The cops driving the van were white. Inside that metal shell, where the world couldn’t see, something had happened. He had gone in on his feet, but when the van doors opened again, the cops were carrying his broken body out." "After Mari’s first electroconvulsive treatment, the shadow-woman comes to her. The shadow-woman sits on the edge of Mari’s bed, crosses her legs neatly at the ankle and leans back against the wooden foot board. Her slim water-blue skirt and jacket seem to glow against the sterile white bedspread." "The kids at school ask where my daddy is and I tell them Bird is my daddy. They say he’s not, he can’t be, because he is black and I am white. They say who did my mama marry before she had me? I say I don’t remember, and anyway Mama told me I have to be good and do what Bird says because he is my father now. They say that’s not true. He’s not Mama’s real husband either because he can’t marry Mama because she’s white. So he can’t be the boss of me." "You never knew the man – not to talk to. You never unpacked your gear with him, wedged in with the rest of the band like sardines in the backstage hole at some club. You didn’t bum smokes or lights or hits or swigs off him. You didn’t listen with him to the roar outside like a train in the distance." 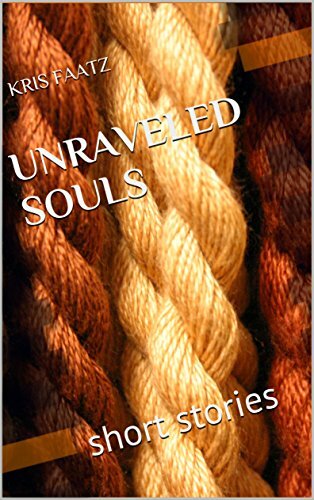 My fiction chapbook "Unraveled Souls" includes six of my favorite stories. Each of them deals in some way with issues of social justice and with the importance of listening to one another's experiences and building connections between people. Publishing this collection in January 2017, and donating half the proceeds from it to 826 National (826national.org), was my first act of response to the new presidential administration and my concern for the well-being of our country's most vulnerable people. Fourteen Stones (working title) is my recently-completed second novel. It has its roots in a trip my husband and I made to Spain in the summer of 2015, in which we visited Iron Age castros on the northern coast of Spain. I was deeply impressed with the hand-built stone structures and the intense sense of home the castros conveyed: people had lived here thousands of years before, loved this ground, built on it, guarded it, buried their dead in sight of their homes. Out of that experience, I created a fictional religion which gave me the seed of the novel. Fourteen Stones is a fantasy, and therefore a departure from the strictly-literary work in To Love A Stranger, but I'm increasingly interested in writing stories that interweave literary and speculative elements. I love to read fantasy, and found it enormously satisfying to create a fictional world and work outside the parameters of our "usual" reality. The story focuses on a nomadic group of people called the Pala Vaia, who face religious persecution in their homeland, and look for safety and help in a neighboring country. Religious belief is a strong element in the novel's plot overall. I wanted to explore what fervent belief could cause, in a few different ways, and how it can both create barriers between people and - in what I argue is its best form- bring people together with the reminder that we are all human. The book is a direct response to various political and social attitudes currently present in the United States. As a fiction writer, sometimes I wonder how much "good" my work can do in the world, but I do believe storytelling matters, and that stories are one of the simplest and most effective ways to bring people together. "Once there was a woman who wished to build a house. Not a house for her husband and children: she had no husband yet, was too young to have children, and in any case she meant to live alone a while longer. She loved the scent of the wind, the warmth of the sun, and the sound of the sea as it rushed and broke against the rocky shore of her land. While she could, she wanted to have those things all to herself." Multimedia Blog: "Zen for Ten: Storytelling and Sound"
My blog feature "Storytelling and Sound" combines verbal and musical storytelling. It came out of a collaboration at the 2017 Kenyon Review Writers Workshops, in which fellow novelist Taylor Larsen and I presented an afternoon program for the students and faculty. Taylor read excerpts of her novel STRANGER, FATHER, BELOVED, and I interspersed her readings with musical interludes to complement the writing. The program was a huge success and I wanted to do more with this combination of arts. For my blog, I make videos in which I read excerpts of fiction and poetry (in a few cases it's my own work, but more often, I share the work of other writers) and alternate the readings with short piano works. This combination of music and words seems to be a treat for listeners, and the writers I've hosted have loved hearing their work presented in this new way. I'm looking forward to continuing this project through the coming year. Poetry cycle "dear Petrov," by fellow writer Susan Tepper, paired with excerpts from Sergei Prokofiev's "Tales of the Old Grandmother"